Comfort Food Showdown: Round 1 – #4 Chicken Pot Pie vs #13 Turkey w/ Gravy & Stuffing – I Love It Spicy! Time once again for our weekly battle. With Thanksgiving at our doorstep, I thought it would be interesting to see if the temptation for turkey can gobble up the votes. So we bring in #13 seed Turkey with Gravy & Stuffing to pour on the heat against #4 seed Chicken Pot Pie. 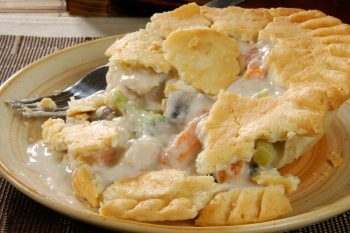 With Chicken Pot Pie, for me at least, it is always about that flaky crust. Everyone seems to have their own unique take on it. Please hold the peas for me and add some extra mushrooms if you do not mind and a darker, thicker gravy than the lighter white gravy. Everyone likes it a certain way and a certain style that pleases their individual palate. 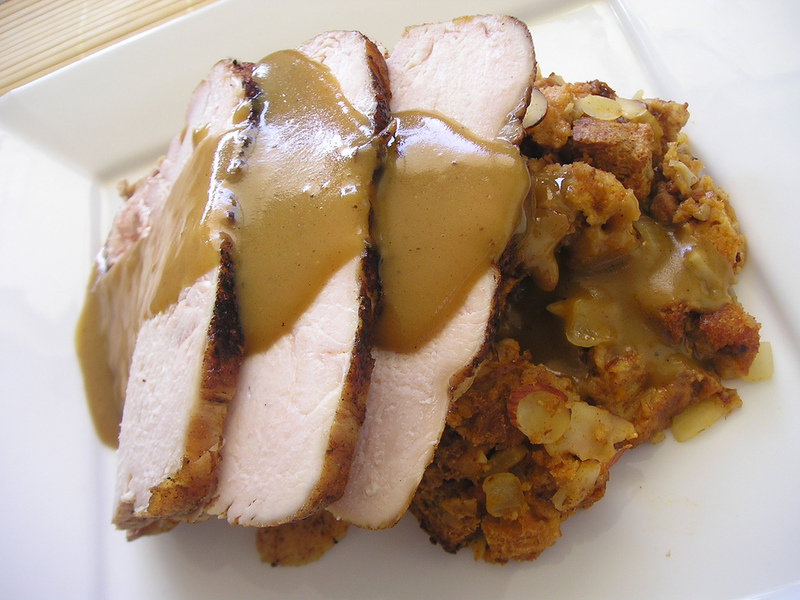 Then the ol’ standby for the holiday, Turkey with gravy & stuffing is what makes Thanksgiving, Thanksgiving. Again the gravy is a choice between lighter and darker, thicker and thinner. My Grandmother used to used the drippings on her brisket with the celery and carrots mixed in with a mushroom gravy that made the food pop with flavor. What about that stuffing too? So many different recipes and everyone seems to put their own spin on it. 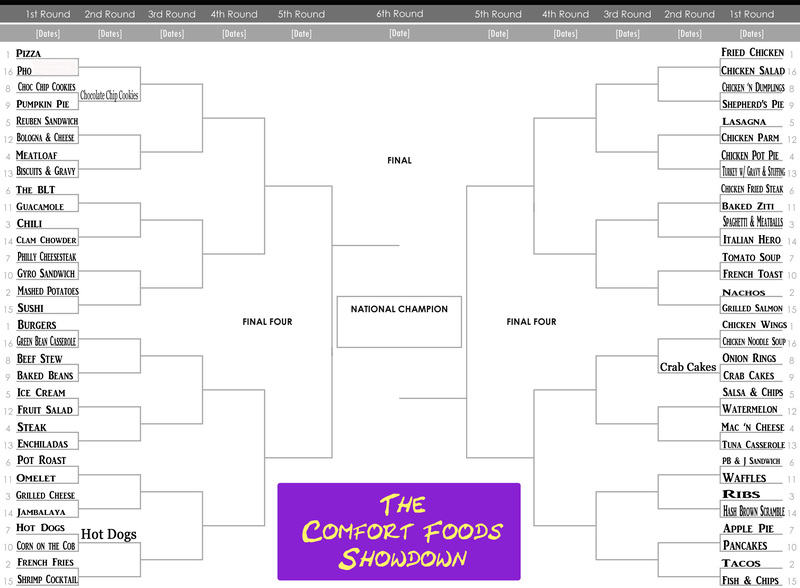 I think this is a fun little match-up and it should be a lot closer than the rankings show. What is your choice? Please vote below for your favorite and have a wonderful Thanksgiving!